Cream Windows are one of the most popular select windows in the Weatherglaze range. The colour cream is pleasing to the eye and blends in nicely to the decor of any modern house or apartment. Designers over the last decade has included this colour in fabrics and household goods. Cream windows are manufactured, using the exact same process as any of the other windows. The ratings of the window systems in cream are a-rated also. uPVC is the window material the is most commonly used in the replacement industry today. 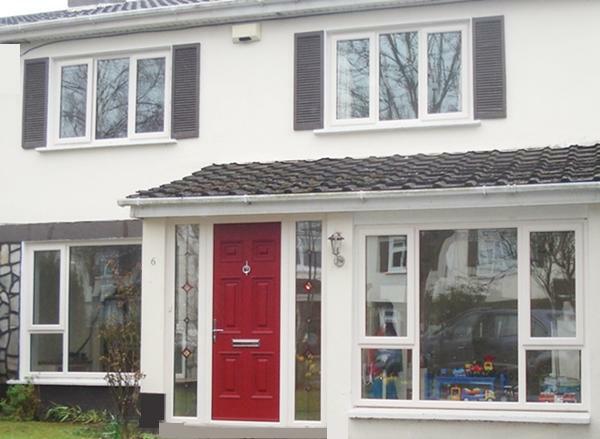 Cream uPVC Windows are ideal if your replacing windows for security and to obtain better insulation. If you decide to opt for replacement windows then I would suggest to look for a window system that is free of maintenance. Over time wood rots and iron rusts so at some stage homeowners are faced with the decision to replace. Wooden windows can be replaced if they haven’t gone to far. Metal windows on the other hand is a different story. Once metal windows have begun to fail, usually from rust getting under the galvanising, there isn’t much left to do except replacement with cream windows. Cream Windows from Weatherglaze are custom made. This means that even in older houses or modern homes the windows have been made to measure. The normal procedure for homeowners, is to contact a reputable supplier and book an appointment for a quote. In some cases if you have a sketch of the windows you require, you may be able to get a quote by visiting a company showroom. My advice to anyone seeking a quote, is to have a company agent visit your home to inspect the work to be carried out. This way you can discuss all aspects of the cream windows installation. After you have placed the order, it takes approximately 4-5 weeks for your new cream windows to be manufactured. When the manufacturing process is complete, the production manager will contact you to agree a suitable time to install the windows. It is advisable that prior to the day of installation, you remove curtains and any other articles from the area in front of the windows. What you need to do is create a work space for the installers to work. Weatherglaze Cream uPVC Windows are considered the best a-rated windows in the market place today. The windows are manufacture in double glazing and triple glazing systems. The security and insulation benefits are second to none and all products carry a quality guarantee. To get the best replacement windows advice, always get your quotes from a tax compliant company with a long standing reputation. This way you will have the comfort of knowing that your products are guaranteed for at least 10 years. Weatherglaze is the brand.